31st December: Senior Training this week will be on Thursday 2nd at 6.30pm. Happy New Year. First team squad for league fixture V Pentyrch Saturday 28th December at home: From: Matt Arnold, Matt O’Brien, Josh Kelly, Rob Ryan, Jon Morris, James Mullane, Cobi Flowers, Tom O’Brien, Lewis Dawes, Mike Fussey, Richie Thomas, Ed Dobbs, Kris Barry, Arturs Kotzels, Rhys Meredith, Luke Riordan, Nick Kelly, Gareth Norman, Matt Khan, Ryan Spriggs, Simon Colley & David Price. Any player unavailable to contact Team Manager Paul O’Brien ASAP. Players to meet at the clubhouse 12.45pm for a 1.00pm team meeting. 24th December: It’s the New Rocks Lottery – Are You In? This week’s numbers 13, 16, 17, 22. 20th December: Rugby cancelled tomorrow. 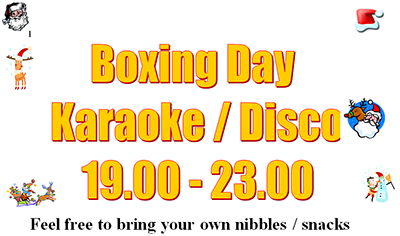 Club Christmas Festivities for EVERYONE Saturday evening. Christmas Jumper night. Carols and Open Mike. Start as early as you want. 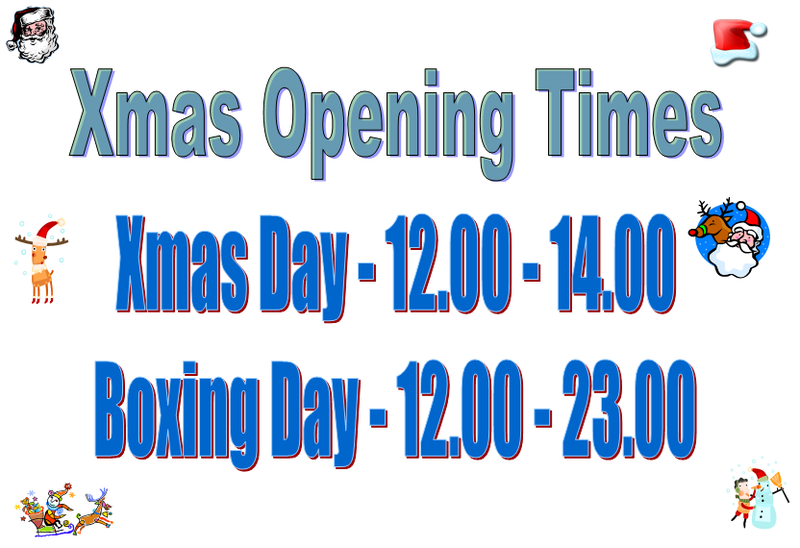 Club open from 12 noon. Let’s make it a ‘goodun’. Merry Christmas to all. 18th December: Watch our very own Finnley Davies in the Cardiff Blues One Region United Video. If the link does not work – go to Youtube and search for ‘Cardiff Blues One Region United’. 17th December: Club game v Rhiwbina on Saturday before the Christmas Jumper party. Kick off 2.00pm. 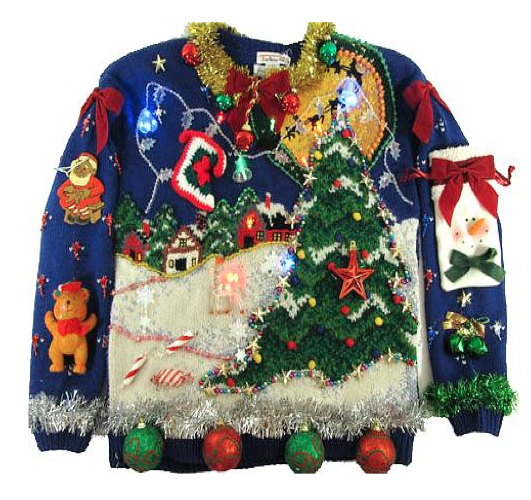 15th December: Only one week until our Annual Christmas Jumpers event. Everyone invited, the more the merrier. Also let Paul O’Brien know any carols/Christmas songs you would like on the song sheet. 10th December: All 18 yr old player are able to play Saturday for the seniors. There are no youth games this week but training is 6 30 for senior training on Wednesday and 7 30 for youth training at Cardiff high Thursday. All 18 year olds who turn up Saturday will definitely play. It is a friendly and the senior coaches want to take a look at the talent coming through. So please make yourselves available. Ringo. Training as usual this coming Wednesday 11th December – 6.30pm at the Club. Next Saturday 14th December we are looking to arrange a home Club XV game in which all senior players who attend will play – details of the fixture to be announced as soon as it is arranged. Club shop open all week for Christmas deals including fleece training tops £4.99, St Peters umbrellas £5.99, St Peters beanie hats £5. Call in between 8-4 or phone joe on 07812136468 to place an order. Top team yesterday for the Rocks was the outstanding performance from the Youth playing Cowbridge at home. Faced with a 0-17 drubbing in the first half the Youth boys gave themselves a good talking to at half time and scored 19 unanswered points in the second half. Final score 19-17: Well done lads. A number of the Youth players also stepped up to First and Second team senior rugby giving an excellent account of themselves. Youth players in the seconds were reported as ‘genuine class’. Unfortunately the two gang went down to a tenacious Barry IIs 22-27. Well done also to St Peters youth players Elliot Regan, Jack Hoskins, Matt Courfield & Ed Poynter on their First XV debuts today – great effort lads – the future is bright! Sadly the First XV also went down to Fairwater 17-12. 5th December: Team to play Fairwater on Saturday here. 2nd December: Rugby this coming weekend: First XV – Fairwater (A). Second XV – Barry II (H). Third XV – Cardiff Quins III (H). Youth Development XV – Cowbridge (H). 27th November: It’s a big Weekend at the club! Saturday: After the Rugby – Live Band and Open Mike Night and the judging of the MO!! Sunday: 4.00pm – Support the Bingo and the Cake Sale for Motor Neurone Disease Association. Contact Rhys Meredith. 26th November: Youth Friendly this Friday at Caerphilly 7.15ko. Game available to all players. Contact Sween or Ringo if you are not available. We will finalise details at Training Thursday. There are a few seats left on bus to see Jordi play for Wales against oz. It leaves at 5pm from club tomorrow. Free Bus!! Senior Training – Until further notice senior training will be on Wednesdays only – 6.30pm start. Jordan Viggers is starting for Wales U18 against Australia Wednesday 27th Nov. 19 30 ko at Neath. He will be capped for this game. We wish him all the best. Well done Jordi from all at the club. 20th November: First XV Team for Saturday to play against Cardiff Harlequins. HERE. Thirds to play Barry Away. Youth to travel to Glamorgan Wanderers and Development Youth – Taffs Well at home. 20th November: Four of St Peter’s Youth played for the Welsh Academicals Invitation side against Llandovery College at Llandovery on Wed 20th November. Tom Jeffs, Rory Harries, Josh Thomas and Alex Lloyd all made their debuts for the Academicals in a hard fought contest which was eventually won by the home team 27 – 17. Well done boys. 19th November: Many many congratulations to Jordan Viggers, our Youth Flanker, who has been selected for Wales A to play Australia on Friday 3.30pm in Neath. 19th November: Plenty of tickets available for the Wales v Australia game at £60 a piece. Contact Paul Ring. 17th November: Couple of massive sessions required this week – Mon & Weds at the Club – to prepare for Quins next Saturday. Got to train to be in with a shout! If unavailable for training or Quins please let Paul O’Brien know. 17th November: St. Peter’s on Casualty last night, aptly titled “Rock and a Hard Place” See it now on IPlayer. 14th November: Rugby this Weekend on the Box at the Rocks. Many congratulations to Jordan Viggers, from the Youth Section, who has been selected in the Welsh Squad to play against Australia later this month. Book your Christmas Party at St Peter’s. Dates still available throughout December. Afternoons and Evenings available. Christmas Bargains available in the CLUB SHOP. Deal 1. St Peter’s Shorts + Skins top + Skins Bottoms + Rugby gloves all for £35. 6th November: UPDATE – Training on Saturday will now be at 11am. Jeff. Due to there being no fixtures for a couple of weeks, because of the autumn internationals, there will be no senior training on Monday 4th & Weds 6th. However, a Crossfit session has been arranged at Dragon, Curran Road for Tuesday 5th at 7.30pm. All senior players are asked to confirm their attendance by contacting Team Manager Paul O’Brien. Please make every effort to attend – all are welcome. The next training session at the club is 1.00pm Saturday 9th before the Wales V South Africa test match. Training arrangements for the following week commencing 11/11/13 will be announced shortly but it will feature another Crossfit session. Usual training nights will resume week commencing 18/11/13 (Monday & Wednesday) in preparation for the very important First XV league match V Cardiff Quins at home on Saturday 23rd. 2nd November: On a day when the rain was so bad that even Noah would have refused to build a boat without an umbrella, the First XV travelled up the valley to Aberdare. The pitch at Aberdare RFC is normally the host for a feast of running rugby, but not today. The rain came in sideways from every direction preventing any sort of entertaining game at all. The Rocks stuck to the challenge into the wind at first half and ended the first forty bouyant, with no score to either side. The second half proved to lack as much entertainment as the first with a rare highlight from Tom O’Brien with a show and go from scrum half rarely seen. The thirty or so yards made set up a maul from which the Aberdare tried to clear, but was superbly charged down by Rhys Meredith who followed up his own work for the only score of the game. Well done Rhys. Well done Rocks. Wet, cold, but not defeated! St. Joseph’s travelled to the Harlequins for today’s second team fixture originally planned for Blackweir. A strong performance followed the Joes from Heath taking home a 10-53 victory. The performance of the day for the Rocks came on the Harlequins main pitch where the Youth XV entertained Pontypridd RFC Youth. The Youth were not at full strength today containing a number of the younger squad members, but these younger boys played out of their skin!!! The final score showed a 17-13 success for the Rocks Youth, but more than one of the coaches reported that more clinical finishing could have increased the score by more. This is exceptionally encouraging for a young side demonstrating so much potential – well done boys. 1st November: Games this weekend. First XV: Aberdare (A), Second XV: St. Joseph’s II (A), Third XV: Cardiff Saracens II (A), Youth XV: Pontypridd (H), Youth Development XV: Whitchurch (A). Defeats across the board yesterday. First XV lost to Brecon 29-0 in the SWALEC Plate, Second XV lost to St. Albans 24-37 in the Mallet Cup. The Youth Development played an excellent game at Llanishen losing 18-8, however Ringo, Vince and the other coaches were really pleased with the boys who played yesterday. With only ten minutes to go the score was lying at 8-8. The away cup game would have been ours. Two late tries by Llanishen took the result. Well done to all the youth boys. £5 for a family of four. Be there if you dare! Fancy Dress prizes. £1 on the door for a bottle of booze. New Turn in Simon Rogers “The Fifth Beatle ” well he is a Scouser. Any one who can hold a tune bring a guitar banjo or harmonica. Young Guns and the Seniors. Let’s rock and roll or sing loud and proud. 20th October: Now THIS is a date for your diary. 22nd January 2014 (19.30) Cardiff RFC v St. Peter’s RFC at the Arms Park. Let’s do it again! If you need reminding… look here. First team … back on track. The first team faced Pontyclun today on the Harlequins with both teams fighting against a rainstorm through the first half. Pontyclun were rewarded with the better of the half coming away 0-9 to the good at the interval. As bad as the weather was in the first half, so the sun shone brightly during the latter half, not only on the Harlequins, but also on the Rocks who came away with three tries to one – finishing strongly to take the spoils 20-14. Two gang put in a strong performance against Rhiwbina II, but for the lack of a goal kicker, trailed 16-18 at the final whistle. Across the city, the Cavaliers took 12 players to Whtichurch II who although fielding a full team could not tame the raging Rocks who returned to Roath with a 14-62 victory. Last but certainly by no means least, we celebrate a Youth 10-22 success at Beddau. Good effort to everyone today – Solid Rocks. 17th October: Friday night coming it’s the turn of the Vets to strut their stuff. Rocks and Joes v Queen’s Dragoons Guards. 5.30pm. 12th October: The First XV gave a spirited performance this afternoon at Wattstown, but three tries weren’t enough to stop the in-form home team who just about ran every piece of possession. Final score 32-15. Good to see OB, Pazz and rampaging rhino on form for the Rocks. The Cavs travelled to Llanishen for a friendly game and ran in 7 tries returning victorious with a 7-49 win. Five tries to the Youth, this afternoon, were enough to overcome Rumney Youth 34-10 on the Harlequins. Each of them tried to claim Man of the Match and apparently, they all deserved it. Friday night coming it’s the turn of the Vets to strut their stuff. Rocks and Joes v Queen’s Dragoons Guards. 6pm. 11th October: Rugby this weekend: First XV away to Wattstown. Meet at the club at 12:15, the bus will leave at 12.30. Two Gang away to Llanrumney. Cavs away to Llanishen (Taffs Well do not have a second team). We also have two Youth games this weekend both at home to Rumney and Llanrumney. With a huge playing commitment this weekend, please make every effort to turn up tomorrow or contact your respective coaches. Thanks. 9th October: JUNIOR NEWS: There is an article about Claire Fahy, our Pebbles Coach, in today’s ParkLife in the Echo. 8th October: Junior News. The Under 9`s won the St Peter’s Tournament on Sunday after a semi final against themselves finishing 1-1 after 6 mins of extra time, beating Llandaff city 3-1 in the final. A point to note – ten games played by the two sides, Tigers and Panthers, not a game lost between them. Put that in your pipe and smoke it!! 7th October: There will be a player’s meeting, on Wednesday, at the Clubhouse, at 6pm. It is an opportunity for all players to mee the new coaching team and hear their plans for the season. Please make your best effort to attend. 5th October: It was an afternoon of missed chances for the Rocks First XV when single simple passes to use an overlap would have resulted in a try and a victory, but it was not to be. Porth returned home with a 7-8 victory leaving the Rocks with a losing bonus point. A combination of bonus points for St. Peter’s and other fixtures and results going in our favour have promoted the Rocks in to Third place in the League behind Cardiff Quinns and Gwernyfed. Meanwhile, outside the clubhouse, the two-gang put Old Illtydian II to the sword with a 49-5 win in the Mallet Cup. Unfortunately, the Youth went the way of the First Team with a low scoring narrow defeat losing 8-6 away to Merthyr. 3rd October: Senior training will move to Mondays and Wednesday’s from Monday 7th October starting at 6.30pm. These sessions will be taken by the full coaching staff of Jeff Norman (Head), Andy Driver (Forwards), Anthony Loxton (Defence) and Mark Ring (Backs / Attack). Youth training evenings will remain on Tuesday’s and Thursdays. 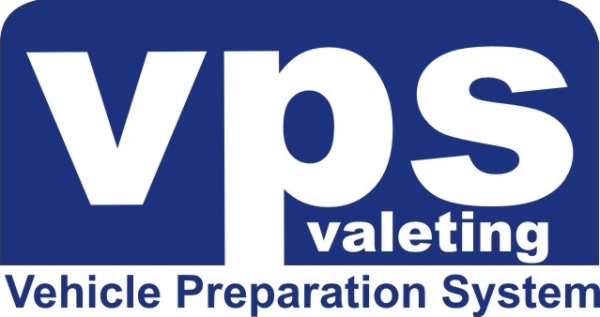 Many thanks to Steve from VPS who has provided sponsorship for the Youth section which has allowed us to kit out the Youth (over 50 boys) with hoodys, polos, training tops and Bibs. Thanks also to John (Pockets) O’Brien who has provided similar sponsorship in the form of kit bags for the boys. 2nd October: The committee, members and friends of St. Peter’s RFC, would like to send their sincere condolences to the family of Lexi McCormack who passed away on Tuesday 24th September. Lexi, along with Jim Sweeney were tremendous role models to many young players at St. Peter’s RFC Youth during the immensely successful years of the early eighties. Lexi (and Jim) were exceptionally well respected within the Club having been at the helm of the Youth set up for the Invincible Season of 1980-81. It was a fitting tribute to Lexi’s ‘clubmanship’, hard work and dedication to the Rocks, that over half of their Youth Team went on to play for St. Peter’s RFC in the victorious game against Cardiff RFC twelve years later. He will be sadly missed and we would like to wish his family our thoughts and respect at this time. The funeral for Lexi is to be held at St. Mary’s Canton on 8th October. 30th September: Coaches for the season to come will now be Jeff Norman, supported by backs coach Mark Ring. 30th September: Many thanks to John Dunleavy and Lee Smith who, after four years of Senior Coaching, have decided to step down. During the last four years the club has grown in player strength, now running three senior sides regularly. We are extremely grateful for all their efforts on and off the field during these years. Thank you John. Thank you Lee. 28th September: Penarth 19-34 Rocks with a really interesting team sheet!!! Match Report. After three games, St. Peter’s are in third place in Division Three SE with 16 Points from three wins. Ahead of us at the moment are Pontyclun also on 16 and (4/4) Cardiff Quins. Two Gang beat Llanishen seconds at the Harlequins, 26-11. Glam Wands Youth did well to overcome the Rocks Youth 15-6. 27th September: Many thanks to all who entertained on Friday evening for Joe Sweeney’s retirement game. The Police eventually won 27-25. More importantly – over £1000 raised for Cancer Research Charities. With regret, there will be NO coffee morning on Friday 27th September. 20th September: Today’s results are in. It’s a bonus point win for the First XV who beat Brecon 36-13 at the Harlequins. Although pleased with a bonus point win; the game was not the normal spectacle it could have been, as Brecon turned up without a recognised front row. The game was played with passive scrums throughout. Report by JD, Photos by Carl. The seconds travelled across the city to Llandaff, but were defeated 36-13. The Youth had a good, and entertaining (proper scrums) win over Aberdare at the Harlequins coming away with a hard fought and well won 24-13 victory. The Third Team fixture against Old Illtydians was called off yesterday due to the opposition also unable to raise a side. Let’s keep at it Rocks. We had thirty youth and senior players today who unfortunately fell victim to other teams not fulfilling fixtures. 14th September: Three out of three for the Rocks seniors today. Firsts beat Tylorstown 31-8 in a bonus point win. Excellent Two gang victory over last year’s champions 21-8. Thirds won 32-17; played with a man down for most of the game and a 150 year old front row!! Meanwhile the Youth Development worked hard to keep Cowbridge to 17 all with 20 mins to go. Cowbridge finished the stronger winning 36-17 at the final whistle. 12th September: Vets game this Friday at the club, 6pm V Cambourne RFC, 5.15-5.30 Meet, from Devon, sure to be a non tackling classic, anyone who fancies a game bring your boots. 7th September: Well done to the Second XV today who beat Cardiff Quinns, 3-26 Tries for Lenny and Ben Foley. James (Halfpenny) 6 out of 6 kicks. Unfortunately, on a day where the Rocks fielded three senior teams and two youth teams, the two gang were the only team who came away with any success. Firsts went down to Gwernyfedd – 33-24, thirds lost to Reading Army – 26-71. Youth scored two tries but no conversions going down 14-10 and the Development side faced the full Rumney Youth losing 0-50. Are there any other clubs in Wales putting as many players on the park on a Saturday afternoon? Let us know if there are. I’d be surprised! 4th September: Rocks have three games this weekend, Gwernyfed (A), Cardiff Quinns II (A) and Reading Army (H). All old and new players welcome. Seconds & Cavs meet at the club at 1.00. FIRST TEAM: to Play Gwernyfed away. Meet at the club 11.30, travel in green warm up tops. Mike Fussy, Ryan Spriggs, Ed Dobbs, Kris Barry, James Burge, Anthony Johnson, Nick Kelly, Nathan Wheaton, Lewis Dawes, Dan French (capt,) Robbie Ryan, Sonny Driscoll, Bryn Evans, Jack Huntley, Ed Poynter. Subs – Scott Carmichael, Lewis Dunleavy, Rhys Meredith, Dan Evans. SECONDS SQUAD: to play Cardiff Quinns away. Colley, Conky, Dyson, Craig Manley, Donkey, Rob O’Brien, G Collier, Cookie, Dale Waith, Maccko (Capt), Tom O’Brien, James Mullane, Mat O’Brien, Ben Davies, Lenny, Ben Foley, Michael Butler, Owen Smith, Paul O’Brien, Waxy, Idris & Will. CAVS v Reading Army Touring Team to be selected on the day. All players welcome. DEVELOPMENT: Rumney at Home. Can everyone meet for 12 at the club please. We will then pick the squad to go to Cwmbran. The other game is home. Ringo. 3rd September: Claire Fahy is the New Pebbles coach. Training will be on Sundays down the club at 10;30am – Alun Harries will be Assistant Coach. We’ll be holding a coffee morning on Friday Sept 27th September for Macmillan Cancer Support. 10.30 – 12.00. Anyone wishing to bake or donate cakes for the day will be welcome with a bottle if wine going to the baker of the most popular cake/biscuits. 1st September: Rocks under 8s entertain the Cardiff Arms Crowd at half time against Rhiwbina. Well done to both teams. 29th August: Message from Coach Dunleavy: I am pleased to announce that Paul McCarthy has agreed to captain the Second Team this year, a respected player that will lead into the battle ahead this year. I would like to thank Jimmy Ray for his time & commitment over the last season to getting 2 gang up and running week in and week out and leading them to a league title 2 years running, I am sure Jimmy will give his mate Macko all the support needed and continue playing. 27th August: Congratulations to all players that have been selected to represent Cardiff Blues 2013/14. Sam Parker (Academy) Captained Blues U19’s V Munster, Jack Huntley (Under 19’s), Jordan Viggers (Under 18’s), Rob Lewis (Under 18’, Rory Harries (Under 18’s), Harri Dobbs (Under 16’s South). 25th August: LOTTERY NEWS: Numbers 8 9 16 17. Christie from Airvent, Jackie and Lisa Diane Sharp all won £10 each for three numbers. Noot bad – but there’s more… Matthew O’Brien has gone and taken the £7300 jackpot with one of his lucky dip tickets. It just goes to show you gotta be init to win it. well done Matthew. This is the first time one of our players has won. See you Tuesday at training, where we will present the prize right after. 24th August: Cardiff City v Manchester City on the Box at the Rocks – Sunday 25th August 4pm Kick off. FUND RAISING EVENT – 31st August 7pm-9pm. Rocking at the Rocks. There will be no charge for this evening’s entertainment, but please dig deep for a big raffle. Music by the Master Crafters. VETS RUGBY – Friday 13th Septmber. Camborne RFC Vets v Rocks Vets. 6pm kick off. All welcome and plenty of time to get fat fit. 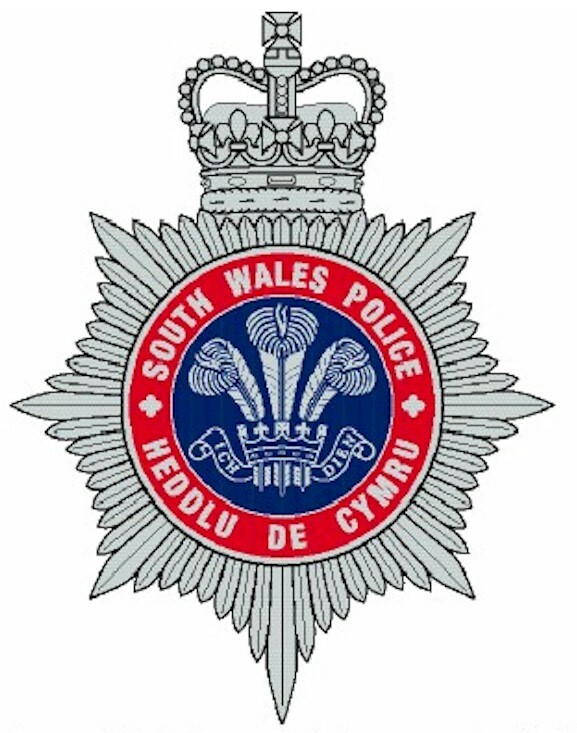 20th August: The funeral of Peter Nolan is on Friday 23rd August 10.00am at St. Peter’s RC Church Roath, Cardiff, then St. Peter’s RFC Minster Rd, Penylan Cardiff. FIRST AID COURSE – Junior Coaches: Please contact Denfa (Junior Secretary) ASAP, regarding the requested First Aid Course which has been arranged for 28th August (18:00 – 21:00) at the club. We currently only have four coaches signed up. Please arrange for one volunteer to be present per age group. First Aid packs will be handed out for the teams. This is an excellent opportunity to increase our skills in First Aid. 18th August: The all new Rocks online Raging Bull Shop is now open for business for Rocks clothing and bags. 18th August: Well done to the First XV and Youth yesterday who beat Canton and Llanishen respectively. The Firsts ran in seven tries (five converted by Frenchy) <The Story Goes On…>. Meanwhile the Youth earn a good win at home 22-17 with an excellent performance. 16th August: Rugby this weekend – First XV Away to Canton. youth XV at home to Llanishen. Both 2.30pm kick off. 14th August: Baseball news. John Dunleavy has been selected to play for Wales Select XI v Caerau All Stars – Sunday 18th August. 12noon Knock Off. Good luck Dunners! 13th August: The committee, members and friends of St. Peter’s RFC, would like to send their sincere condolences to the family of Peter Nolan who passed away on Monday 12th August. 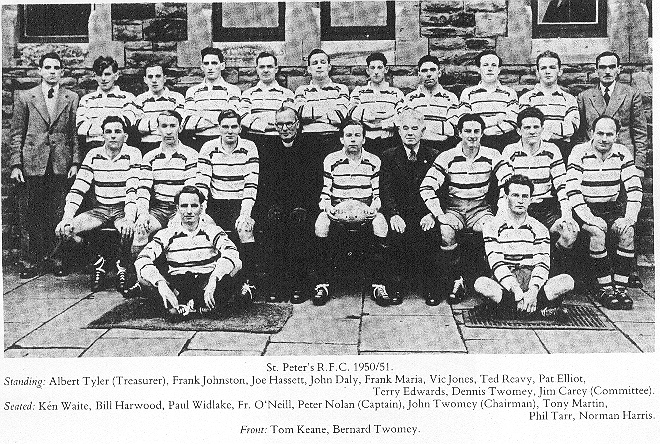 Peter, a life member and former Secretary* (1952) of St. Peter’s RFC, husband to Bernadette, father to Paul, Vince, Bernard and Patsy, Grandad to Tom, Kieron, Joshua, George, Emma, Helen, Lucy, Sophie and Liam was the Captain of St. Peter’s RFC (1950-51) after the war having taken over from Ken Waite. Peter was most certainly one of the club’s unique characters. A scrum-half who was affectionately known as Mad Pa to many. He will be sadly missed and we would like to wish his family our thoughts and respect at this time. 12th August: The new season starts for the seniors starts this Saturday with an away, preseason game at Canton – Kick off 2.30. The Youth continue their season preparation with a home fixture against Llanishen – kick off 2.30pm. 11th August: Five tries to three by Rocks Youth in yesterday’s season warm up game was a great start to the season. Unfortunately, an excellent kicking performance by Bargoed resulted in a 27-25 defeat for the Youth. Our boys showed throughout the afternoon that there is definitely a good season ahead. Well done boys. 9th August: Come along and support the youth today. They are playing Bargoed in a preseason warm up game, at home 2.30 KO. 6th August: Many thanks to Ann & Chris Corsi from The Rocks Youth for their on-going support. 1st August: Rocks to travel to Brecon in the first round of the SWALEC Plate To be played the weekend of 26th October 2013. 1st August: Four weeks into returning to pre-season training we have been averaging 20+ players through most of the sessions <more>. 23rd July: Junior coaches – please check your emails for information on coaches and coaching courses. Tuesday and Thursday the Youth and Seniors are training from 6.30-8.30pm at the club. New and established players still welcome. Thursday 25th July at 6.30pm – Junior Section Meeting. Friday 26th July – from 7pm onwards… we are holding a Junior Karaoke evening. Then from 9pm onwards entertainment provided by ‘Denmark Street’. 19th July: Just in case it’s not hot enough for you… the Rocks are headed to Whiteheads RFC, Bassaleg, for the annual Sevens tournament tomorrow (20th July). If you are not already signed up to play and fancy sweating your nads off for the afternoon, contact Nathan Whetton or Dan French. 16th July: It’s that time of the month again – Nolan’s Notes. 16th July: Please note that emails to admin@stpetersrfc.co.uk is temporarily down whilst we undertake essential site maintenance. 13th July: Pre-Season training has started with a good turnout of players so far. Let’s all get there on Tuesday and Thursday this week. New players still welcome. 6th July: Massive congratulations to Sam Warburton, Warren Gatland, the whole squad and the coaching / management staff of the 2013 Lions for their epic winning tour of Australia from all at St. Peter’s Rugby Club. Tomorrow’s Sydney Sunday Telegraph is sporting a number of familiar faces from the Rocks. The boys are Rockin’ All Over the World. 4th July: First XV Fixtures now available here with a league start away to Gwernyfed on 7th September. The full list may be downloaded here. PRE-SEASON TRAINING: 9th July – We are delighted that we taken on the services of Allen Reid of KF cross fit as our ‘Strength & Conditioning Coach‘ for the season. We look forward to seeing you all next week. 3rd July: St. Peter’s Youth are looking for a sponsor to sponsor 50 pairs of shorts for the season at a cost of £11 each. Sponsors may have logo on the back or side of shorts. If you are able to help please contact Paul Ring. 2nd July: Third Lions Test on 6th July. Breakfast at the club from 9.30am. Don’t forget to buy a lottery ticket. Prize money rises to £7 000!! 30th June: St Peter’s RFC would like to thank local partners Morrisons and their contractors ISG who have sponsored the building of a new drainage system for the Harlequins playing fields. 28th June: On the 27th July. We have a Team Bonding Day at Simmons Yat, near Ross on Wye. It will be doing out door activities including canoeing. The cost is £20. It will be a late day out as we will stop for a pint and have a kangaroo court. Sign in on the Facebook Players page, or contact Paul Ring if you want to attend. 25th June: Second Test on Saturday – Australia v Lions (Melbourne). Game on Live – Breakfast served from 9.30am. White Collar Boxing: On July 20th cancelled. 9th June: No updates here until 23rd June. Have a good couple of weeks. 7th June: British & Irish Lions 2013 at The Rocks. Saturday games – LIVE. Midweek games taped and shown AS LIVE in the evening. Details. 6th June: Going on Holiday? Send photos of you or your family around the world wearing St. Peter’s – Polo Shirt, Hoody, Tracksuit or T-Shirt. A Rock in London, Porthcawl! A Rock in Spain! Or even a Rock in Estonia! Send them (the photos not your family) in to admin@stpetersrfc.co.uk and we’ll add your pictures here– ‘ROCKin’ All Over The World‘. Send in those pics. Ta. 3rd June: Under 14s make the Echo for winning the Blues Cup. Photo. 1.30 for 2.00pm sit down. 30th May: Rarely does a personal request make these pages however a single click could assist a Cardiff lad follow the Lions as a Welsh Representative for absolutely nowt – Vote Andrew Donovan! 27th May: ANOTHER date for your diary – 7th June…It’s a Charity Twmpath!! 27th May: It’s the Last Friday of the Month coming – 31st May and it’s Open Mike Night. Denmark St have confirmed their attendance. They have fought long and hard to get invited to our Open Mike Night. Come on down! You know it makes sense. Denfa (Steptoe) Davies. 26th May: We thought that the season was over when the Under 14s won the Blues Cup on Monday evening. They Youth however, had other ideas when they entered the Taffs Well Sevens yesterday bringing home the Cup … and the plate! Congratulations to the Rocks Youth for achieving a monumental win at the Taffs Well Youth Sevens yesterday. The youth entered 2 teams – an A and a B and came away with the plate and the cup. A particular thank-you to the boys who are officially still at under 16 level. To step up to Youth rugby is a real credit to you. Well done all of you. Man of the tournament in my view was Matthew Corfield. 26th May: WHITE COLLAR BOXERS WANTED for St. Peter’s RFC first ever Charity Boxing Night!! On July 20th St. Peter’s RFC will be holding its 1st Annual Charity Boxing Evening at the Club. We’ve the venue and the spectators sorted. All we need now are some willing volunteer boxers. Fancy your chances in the Ring? Give James Mullane a call on 07976839214. 24th May: Rhodri Beynon writes… On the 8th of June 2013 I am undertaking another epic challenge. Some work colleagues and myself are embarking on a Welsh 3 Peaks challenge but cycling in between each one. So that’s the peak of Snowdon, Cadair Idris and Pen Y Fan and around 220km on bikes, in 24 hours!! 22nd May: Under 8s make the Echo with the Chief. Photo. 21st May: CONGRATULATIONS to St. Peter’s RFC Under 14’s – Blues Champions 2012-13. Many congratulations to all the players, coaches and parents of the Under 14s who, last night, beat Penarth 43-17 at Riverside Park. 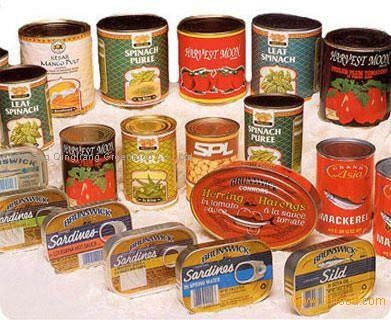 Ok, Patsy doesn’t do FB so here I go. Thanks to everyone who got to the game tonight your support was massive. As to the game I said they were worth watching, know it took a while buT I think you all agree it was worth the effort!! Congrats to Patsy and all the parents for the work they’ve put in, its been a long time coming, but biggest respect has gotta go to the boys who got their just rewards, your a credit to your club and yourselves and worthy BLUES CUP CHAMPIONS. 13th May: Message from the Don… I know its been a long season but there’s still a game of rugby to be played. U14’s Blues Cup Final Rocks v Penarth Mon 20th May at Rumney RFC 6.30 KO. Get down and support the future of the club, for those of you who’ve never watched the 14’s your in for a pleasant surprise, get there it will be worth the effort!!! 12th May: Well done to the Rocks U12’s in Blues Cup final, who unfortunately went down 18 – 17 to Pontypridd but put a solid shift in against a much bigger side and never backed down. Well done – a fantastic effort to all the players, parents and coaches involved. Photos by Carl. 11th May: Rocks 5 – 41 Rhiwbina in the Semi Final of the Ron Lucock. 8th May: Love statistics – How about St. Peter’s RFC Under 8’s Season 2012-13? Played 119 – won 75, lost 31, drew 13. Scored 764 tries. Full Reports. 7th May: Rumney finish the stronger in the Final of the East District Cup. In a tremendous final, the Rocks were leading til about 10 minutes to go! Final Score Rumney 52-38 Rocks. Photos by Carl. 7th May: Two league games to go for the Youth this week. Tomorrow (8th) against Rumney at Rumney for 7.15 start and Saturday 2.30 at Merthyr. Merthyr are top of the table and narrowly beat us 33-40 down here a couple of weeks ago so we are going up there looking to win. Vince. 6th May: Don’t forget to support the boys on Tuesday 7th May when they take on Rumney at Glamorgan Wanderers ground in the Final of the East District Cup. Also on Saturday the cavs are away to Rhiwbina in the Semi Final of the Ron Lucock Cup. So come and give a big cheer for the boys. 6th May: Llongyfarchiadau to the Rocks 7s who won the Aberystwyth Sevens Tournament Yesterday AND… also to the 7’s, 8’s and 12’s won the Abergavenny tournament as well. A good weekend for the club. 30th April: First XV lose to Aberdare 43-27, but finish a very respectable third in Division Three South East. 27th April: Charity Pamper Party next Sunday 12-4pm at the Club. 27th April: Rocks lose away from home. Fairwater 20-3 St. Peter’s. Youth go down 11-22 to Pontypridd. It’s another busy weekend at HQ. 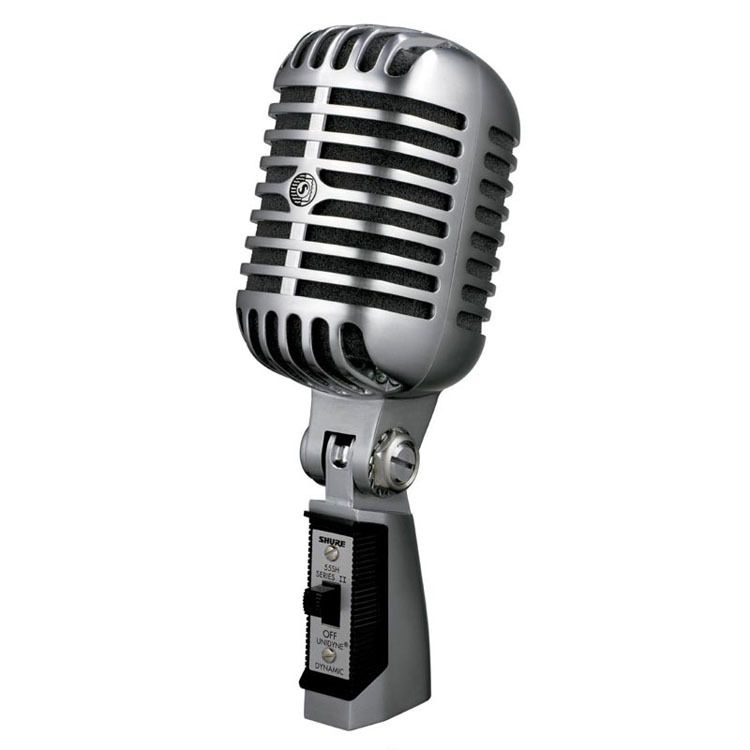 Starting tonight with Open Mike Night then tomorrow, the First Team are away to Fairwater. This is a League Match. Meet at 12.30pm at the club. Two Gang are playing Cardiff Saracens II at Roath Park. Meet at the club at 1.00pm. The Youth are playing Pontypridd at Home. Meet Time TBC. All support would be most welcome. 25th April: Fancy a move to the country? Why not consider a move to the new village of ROCKS GREEN just outside Ludlow. Its’ true! We’ve a village named after us. 23rd April: Seconds defeated by Llanrumney 23-9 in the Semi-Final of the Mallett Cup. 23rd April: Following Pontyclun’s withrawal from the East District Cup awarding St. Peter’s a final place, Dinas Powys have also withdrawn from the competition. The Final of the East District Cup will be between St. Peter’s RFC and Rumney RFC. To be played at Glamorgan Wanderers – May 7th. Congratulations to Rob Lewis who gained two Welsh Under 18 caps at the Fira Tournament in Grenoble earlier this month. Rob played during the wins against Portugal and Georgia. This success follows on from Rob’s Under 16 caps last year and he still has another season at this age group. 22nd April: It’s the Last Friday of the Month coming – 26th April and it’s Open Mike Night. We’ve a band, Mike the Plucker and – with a little luck – Potter and his organ(??) Also, the Baseball Girls, and LOB`s Barmy Army. Eurig’s under nines are doing the raffle. You might even win a goldfish in a bag, a coconut or if your really unlucky a bottle of BOOZE!! Come on down! You know it makes sense. Denfa (Steptoe) Davies. 21st April: Following the disappointment of the weekend result to Dowlais, there has been a regular supply good news coming through to stpetersrfc.co.uk. Pontyclun have withdrawn from the Semi-Final of the East District Cup – St. Peter’s First XV now go through to the final to play Rumney or Dinas Powys (to be played Tuesday 23rd April at Llandaff North). Under 14s beat Pontypridd 15-12 in the Blues Cup Semi Final. Final to be played on May 12th at the Arms Park. 20th April: Rocks lose to travelling Dowlais, but come away with the only try of the game and an important losing bonus point. 11-12 <Photos>. Pontyclun had a good win at home to Brecon 44-12, but remain in third spot with a game in hand. 19th April: St Peter’s Youth are going on tour and having 25 T-Shirts printed. They are looking for two sponsors. Your company logo will go on the breast of the T-Shirt for half the cost. Please contact Ringo on 07976847595 if you are able to help. Thanks. 17th April: Bonus Point win for the First XV at home to the seasiders. Rocks 34-0 Penarth. Seconds go down to Cardiff Mets. 16th April: It’s a good start to the Senior Cup Competitions with the Cavaliers beating Cardiff Quinns by three tries to two. With fifteen minutes go the Rocks Three Gang were trailing the Quinns, but with a Cavalier effort pulled the score back to seal the victory- Final Score 14-24. Under 14s Blues Cup Semi-Final Sunday 21st April 11am – Harlequins. A great performance by the u12’s yesterday against Llandaff to reach the final of the Blues Cup. Tough conditions great result 57. 12. Next stop the Arms Park well done. Lee Smith. 14th April: The feel-good factor was high at the Rocks yesterday with three games played and three games won with over 130 points scored and only 21 conceded. Tidy like. The day started yesterday a little too early for touring side Worthing Youth – who according to their coaches peaked at about three O’Clock Saturday morning in St. Mary St. The Worthing Youth took in the sights, sounds and stellas to the max Friday night and it is possible that the 11am kick off was a day or two too early for them. All credit to a great bunch of lads who played and stuck to the game as best as their hung-over bodies would allow. Rocks youth the victors 50 – 0. In similar conditions the Two Gang entertained Llanishen on the Harlequins and combined enthusiasm with skill and fitness to score over 50 points. Unless mistaken this puts Two Gang top in their league after beating with a BP. David Dyson Price was MoM with 2 tries. Rocks II 53-11 Llanishen. Good luck once again to James Morris representing Malta tomorrow against Holland. COMMUNITY NOTICE: Emergency MMR clinics are being arranged for Saturday 13th April at CRI and Llandough from 10am til 4pm. These clinics are for children aged 13 months to 18 years who have not received their MMR or have not had 2 doses. No appointments necessary. 12th April: On the Box at the Rocks this weekend. 12th April: There is a glut of fixtures coming over the next few weeks… Here they are at the moment – keep an eye here for any possible changes. 10th April: Leigh halfpenny was at the club this evening working with the juniors. He really was great with everyone. A good ambassador for Cardiff Blues, Wales and rugby in general. All the kids and mums really enjoyed his visit to St. Peter’s today. Thanks Leigh and Gareth Baber. 9th April: The famous RATTLESNAKE band are at the club on Friday 12th April. Please make every effort to attend and bring your families. £5 on the door. Money raised will go towards youth Tour and the club dinner. Ringo. 9th April: MALLETT CUP QUARTER-FINAL. Second XV beat St Joseph’s 22-0. Good Win Lads. CONGRATULATIONS TO THE ROCKS UNDER 12s who are through to the Semi-Final of the Blues Cup. Let’s all turn out to support the boys against Llandaff next Sunday (14th April) at the Harlequins – Kick off 12. noon. St. Peter’s played their game of the season so far at the Harlequins today, beating Pontyclun, who were six points ahead of the Rocks in second place, by 32-8. The Rocks made their intentions clear in the first 10 minutes forcing their way over from short distance with a strong forward surge. The score was doubled soon after when Scrum Half Lewis Dawes took the opportunity of a quick tap penalty and demonstrated twinkle-toe footwork to dance between the Pontyclun defence and launch and outstretched arm to score. Second half tries by Matt Arnold and Josh Kelly sealed the bonus point win. Well done also to Pontyclun who ran everything back at St. Peter’s and were rewarded with a late try. Photos by Kevin and some taken with a proper camera by Carl. The bonus point game has brought St. Peter’s within one point of Pontyclun who remain in second position both with five games to go. Good luck to James Morris representing Malta today against Switzerland. Details. Second XV East District Semi Finalists!! Sign the Petition if you… Condemn Cardiff Council’s decision to dramatically increase pitch and changing-room fees and believe that rises of 45% for football, 74% for baseball, 97% for rugby and 146% for cricket would be detrimental to sports participation levels across the Welsh capital. Congratulations to David Mitchell who, on Saturday, got over the 100 league points mark for this season so far. He is also representing Cardiff & District on Wednesday night against Cardiff at the Arms Park. 30th March: First XV travel to Porth and bring home the Easter Bunny!! Porth 17 – 19 St. Peter’s. Youth travelled to Blackwier losing 22-14 to a strong St. Joseph’s team Photos. Llandaff cancelled at the last minute on our seconds, but the Cavs entertained (and were entertained by) touring side Old Bedians. The Cavs won the game after loads of tries were scored by both teams – Final Score 65-53. If you have ANY friends from over the bridge – don’t forget to remind them of the date today, just in case they forget. Today’s date is 30-3! 28th March: It’s a busy one this weekend, starting at 1.30pm when the Cavs entertain touring side Old Bedians from Didsbury, Manchester. The Firsts are travelling to Porth whilst the Seconds are home to Llandaff IIs and the Youth on Blackweir to St. Joseph’s. 12.00 meet for everyone. 28th March: Message from Denfa…Good Friday OPEN MIKE NITE down the club bring a friend or two £1 entrance Raffle chance to win A champions tee shirt !! Its wet out side so lets get wet on the inside !! no pun intended Don !!! Second team Photos and Report from South Wales Echo from last weekend. Youth drew tonight at Fairwater 11-11. Joe Sweeney – is on the mend after his op and is due out of hospital tomorrow. It’ll be good to see Joe looking well soon. It’ll be good to see Luke home soon. Our thoughts and best wishes are with both Joe and Luke. 25th March: The youth are playing Fairwater away at Waterhall Park on Wednesday of this week (26th) 5.45 kick off. 24th March: In weather when only Latvians wear flip flops and the rest of us normal folk stay indoors, the Seconds revisited Rhydypenau Park for Mallet Cup replay against Llanishen. This game was first played back in December and was originally reported on this site as a 7-7 win for St. Peter’s. Unfortunately the rules dictate that extra time should have been played before the Rocks were declared victors on the away try rule… Yesterday 80 minutes of extra time were played in the re match and this time we once again scored more tries than the opposition. In fact they didn’t score any. On another note – Good luck and best wishes must be passed to the Llanishen No.8 who left the field in a hurry in the middle of the second half, when he received a phone call to say his better half had gone into labour. Sportsmanship prevailed and Rocks coaches allowed Llanishen to bring on another player even though the home team had used all their subs. In similar brass monkey weather, the Cavs entertained Cardiff Saracens at the Harlequins not for a swim off, but on the second team pitch. Cavs 21 – 5 Sarries. 23rd March: Youth game off due to the weather. Update at 10.33… Firsts off. Seconds at Llanishen and Cavs at Harlequins still currently on. 20th March: THIRDS NOW HAVE A FIXTURE!!! Rugby this Saturday (23rd) First Team at Home against Penarth. The Two Gang will be travelling across the city to play Llanishen II in the Mallet Cup. Cavaliers to play Cardiff Sarries at Home. Meanwhile the Youth travel to Pontypridd. 17th March: What a day! What a win – Just in case you were asleep or just want a reminder. Wales 30-3 England. It was a fantastic day at the Rocks yesterday. A huge THANK-YOU to the Don, Shelley and all their staff for making it such a great day. 13th March: Preparation for Saturday’s Rugby with the Blims… Love Letter To Wales, Side Steps and Side Burns, on The Train After Wales Win the Grand Slam 2012. Rocks Bar will open from 12 noon with offers on bottles of Stella, Fosters and another one from the Don!! 11th March: Lottery this weekend is £6 000!! 9th March: Here are the updates of the last fortnight – The First Team travelled to Pentyrch on 2nd March and came away with a 0-50 win. Thre First XV remain in third position, in Division 3 South East, five points adrift of second place Pontyclun who are in turn two points behind Dowlais. Report by JD. Meanwhile Defensive Coach Loxton has updated his statistics for the players in the First XV here. The next game for the First XV will be at home to Penarth on 23th March. The two gang had an impressive win in the East District Cup Quarter Finals, against local rivals St Joseph’s. The seconcs ran out victors, 52-15, with Bryn Evans scoring 3 tries in his long awaited come back game. More impressive was his brother, Idris, who produced a MoM performance in the back row. Idris normally plays 12. It looks likely that the seconds will be playing a strong Cardiff Met II in the semi-final, date TBC. Notes from JD. The Cavaliers had last minute call off in the League against CHSOB and so claimed claimed game. This resulted in a last minute tough trip to Bridgend based Heol-y-Cyw to play their seconds. The Cavaliers ran out surprising winners 19-22, to the complete shock of the Division one club’s second string . Notes from JD. The Youth had a confusing day as far as the result was concerned 3 results posted a win 21-13, lost 25-21 and a draw 21-21 against Treorchy at home. Junior News – A big well-done to Mark, Smudger & Nick who coach the U12s, who reached the Blues Cup semi-final after beating Llanishen 19-15 in a cracker of a game last Sunday. The game was a hard fought affair. which was worthy of a final in itself. Both sides showed great rugby qualities for such young players. What was particularly noticeable was how both teams mixed with each other after the game and a committed battle – a credit to both their clubs. 20th February: No updates for a couple of weeks as Kevin is on Rugby Research around the Caribbean. In the meantime please contact Secretary – Terry, Fixture Secretary – Joe or Club Steward – Don. 20th February: The latest edition of Vince’s Verbals. 19th February: Message from Adam Howard – Youth Team Captain… There’s going to be a youth fundraiser for tour on the 22nd of March. It’s going to be a quiz night boys, a bit of a laugh so we’ll all have a good time as well as hopefully raising some money. We just need everyone to make every effort to be there, encourage everyone to come parents/friends/family etc. do as long as everyone makes the effort, ultimately it will benefit us for tour, so spread the word please. Adam Youth team Capt. The Irish side we were due to play on Friday night have had to call off. But there are still 30 of them coming down the club on the lash. So it would be good if a few of us turned up to welcome them and socialise a bit. The open mic night is on so should be a good night. Open mike nite this friday 22nd down the rocks ! bring a friend bring your mates girlfriends boyfriends crooners joke tellers banjo players mams and dads have a ball the nite before we thrash the italians . anyone got a tambourine, maracas, paper and comb . a saxamaphone for all you simpson fans is lisa available ?? 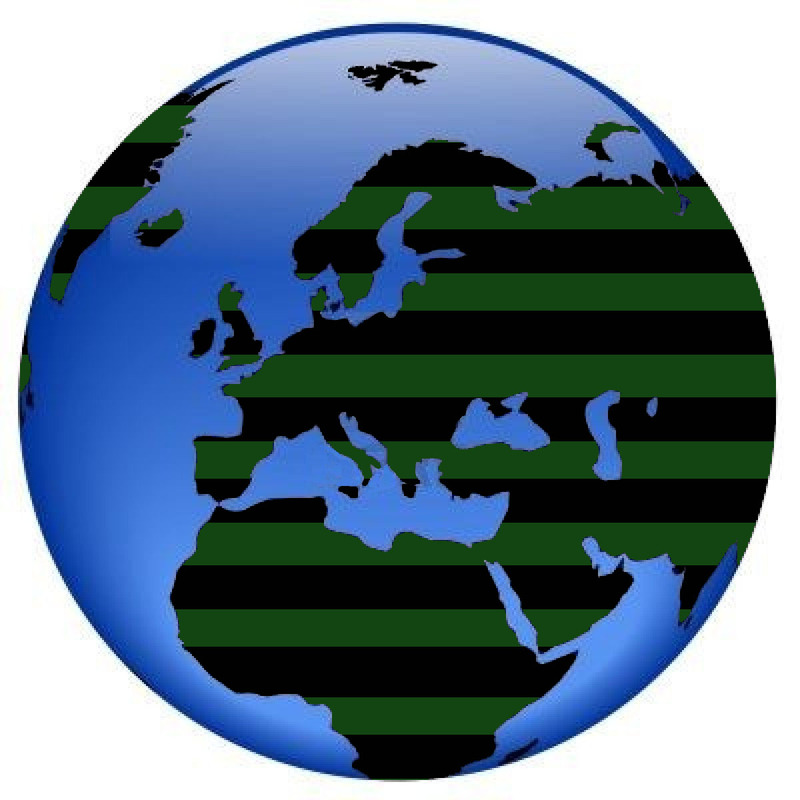 THE FUTURE IS BRIGHT – THE FUTURE IS EMERALD GREEN AND BLACK! 16th February: St. Peter’s 14 – 10 Tonyrefail. Thanks to Rhys Meredith who provided the clip today which sums up today’s performance. Photos (not very good this week). Match Report by JD. Meanwhile the seconds had a cracking win at Maesteg Celtic winning 19-14. Penalty Try, one for Ben Davies & Macco. The youth were narrowly beaten by St. Joseph’s 5-6. 15th February: At last we have some Rugby at St. Peter’s. After weeks of snow, flooding and International Matches, we return this weekend to Club Rugby at the Rocks. The first team will be hosting Tonyrefail at home, whilst Two Gang travel to Maesteg Celtic. The youth will also be playing at home, entertaining St. Joseph’s Youth. Membership Cards are now available for Adult Members behind the bar. 13th February: The seconds will be playing Maesteg Celtic seconds on Saturday. Give Paul O’Brien a ring if you are available. 11th February: Going away for half term? Don’t forget to take your Rocks jersey, polo shirt or tracksuit and send us a photo – Rockin’ All Over the World. 11th Feb: Many thanks to the boys from Plymouth who played our ‘Social’ Team on Saturday – Match Report by JD. 8th February: The Rocks have gone to Paris once again. Listen to Vince’s interview with Jason Mohammed from Radio Wales 8th Feb 2013. HERE. 2nd February: Second / Third team fixture Saturday before the France v Wales game. Rocks v Plymouth Argaum RFC. 1.30pm kick off. We now have enough players – any other support would be welcome. 1st February: Learn Welsh – at the Rocks. Courses held each Wednesday 6pm – 8pm. Another great song from the Blims – Love Letter to Wales. 1st February: Tom Nolan still enjoying himself in Dubai. 30th January: Membership Weekends! Moved to 10th March as the pitches are flooded and out of action this weekend.- Kevin, Joanne and Joe will be available then to Sign up new-members and distribute Membership Cards to existing members We will be in the downstairs bar. This should allow all Junior Parents to check their Membership Status. Please call in from 10am onwards. 28th January: Write up of the Reunion in Wales on Sunday 27th Jan.
26th January: Cardiff RFC scrape home against Cardiff Met. 20-16. 25th January: All Rocks games off tomorrow – Now you can definately go to the reunion tonight!!! No excuses. 25th January: Almost twenty years to the day after John Dunleavy played in the side which beat Cardiff 014-16, his son Joshua, alongside Kris Barry, in Cardiff 22 against Cardiff Met in the opening round of the SWALEC Cup. Who will you support? 25th January: Tonight – ALL PAST PLAYERS, MEMBERS AND SUPPORTER CELEBRATION on Friday 25th January from 6pm onwards, in recognition of the twentieth anniversary of St. Peter’s RFC beating Cardiff 16-14 on 23rd January 1993. Players old and new welcome to join in the Reunion. Pass on the news – invite all your Cardiff RFC mates too. OPEN MIKE NIGHT from 8pm onwards. Alternatively, take yourself back in time, by reading the archive pages for January 1993. 24th January: Message from Jason Brown to St. Peter’s RFC. 23rd January: Do any readers have a photograph of the score-board at the end of the game at the Arms Park? If so, please send them here. Thanks. 23rd January 2013: Twenty years on!!! Article in South Wales Echo today – reproduced HERE. or in full here. Many thanks to Rob Morgan of MediaWales for supplying the photograph. 22nd January: With one day to go to the Twentieth Anniversary of the greatest day in any Rugby Club’s History anywhere in the world – read how Dan O’Neill from the South Wales Echo and WalesOnline remembers it.HERE. Anyone invited Alex Evans yet? And more articles are coming to light. Here is the way the INDEPENDENT reported on the story in 1993 – L.O’B Eloquent as ever! 18th January: Did you miss Ringo on the Radio. Listen to the full programme HERE. Alternatively, just listen to the good bit HERE. 18th January: Read the latest edition of Vince’s Verbals. 17th January: Phil Steele’s Saturday morning radio show on Radio Wales 8.30am features St. Peter’s RFC 20 years after beating Cardiff 014-16. 16th January: Match Report from JD from last weekend as the Rocks move up to third place in the League. 12th January: St. Peter’s 32 – 17 Nantymoel Photos . No seconds team fixture. Cavaliers 12-17 Sully Sports II. 8th Jan: Need little help with the New Year’s Resolution? You now have a choice at St. Peter’s RFC with Weight Watchers on Monday’s at 5.30 or your could choose Slimmers World on Tuesday’s at 6.30. I’m not quite sure ‘what’ to do I’ve got so much on my plate already! The Youth remain on top of the Youth League with a 10-10 home draw to Glamorgan Wanderers and the Second XV travelled to Cardiff Harlequins bringing home a 13-27 Win. A mention and a thank you must go to the players and spectators of St. Peter’s First XV and Youth and also the same of Brecon and Glamorgan Wanderers Youth who jointly stood silently, on the Harlequins for a minute, in respect for Patrick Dacey, player and Youth Captain 1949-51 who passed away in the week before Christmas and whose funeral was held at St. Peter’s RC Church yesterday. Our thoughts and prayers are with Mrs Dacey and her family. 5th Jan: Player Statistics prior to today’s game against Brecon. 4th Jan: Weather permitting we’ll have a full programme of rugby tomorrow at the Rocks First XV: Brecon at Home. Two Gang: Cardiff Quins II at Home and Cavaliers: STAR II – Away. Meawhile, the Youth: will be playing Glamorgan Wanderers at Home. Could all players please meet at the club for 12.45.